Traveling by train is NOT old fashioned. Two Hytch staffers, Britt and Jacky, found out there’s a whole lot going on in the morning commute to Nashville.  On Thursday, June 14th they were able to meet with Hytch Rewards users and hear how the app has positively impacted their lives and daily commute. As a way to say thanks for sharing their story, saving trees and defending our clean air, Hytch along with Sprint by Absolute Wireless decided to send Jacky and Britt with fists full of $20 Code Cards that can be redeemed at any number of Sprint by Absolute Wireless stores. While they made their rounds on the train, Britt met with Jenny, a daily Hytch user, who talked about the perks of the Music City STAR and public transit in Middle Tennessee. While she’s a regular commuter to her office with TDOT, she also uses the app with her family for running errands on weekends. Our Hytch staffers continued to connect with Music City STAR riders and discovered how Hytch Rewards has become a regular part of their commute. Most of the riders were in groups of four or more or in pairs but they all used the app for more than their commutes to and from work. Britt & Jacky heard stories about great concerts at local music venues and how Hytch brought people together. After a few stops, it was obvious these Hytch users were creatively changing their transit behavior to their benefit and enjoyed the rewards. To continue to show our appreciation, Hytch Rewards will be joining Sprint by Absolute Wireless on Saturday, June 23rd, for their Sprint Says Thank You Event. Come by the the Murfreesboro location and show us you have your Hytch Rewards app and we’ll give you a $20 code card of your own to use on top of the major customer appreciation discounts Sprint will be offering inside. Want to start earning rewards when you share rides but don’t have the app yet? Download the app by clicking on the link below and join the Hytch community today!